National political and business strategist heads BYU Alumni Association. Dee Allsop, who has managed the image of companies and presidents, now leads the BYU Alumni Association. A strategist who worked at the highest level of American politics during the Ronald Reagan administration has been named president of the BYU Alumni Association. Dee T. Allsop (BA ’81) replaces former president Bruce L. Olsen (BA ’63), who has been called to serve as the president of the San Diego California Temple of The Church of Jesus Christ of Latter-day Saints. 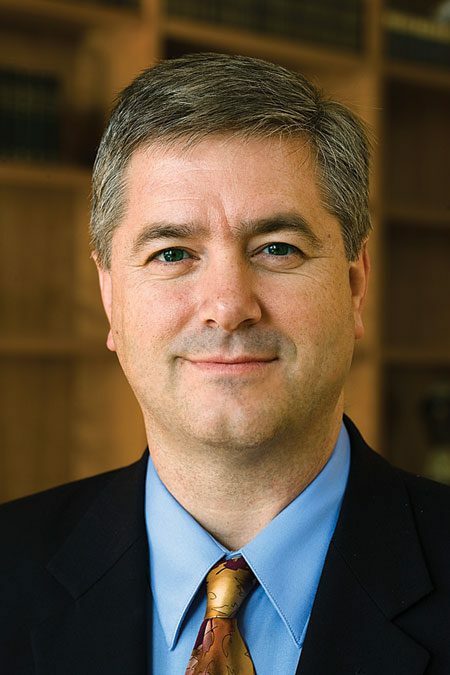 Allsop’s work with Reagan reflects a fascination with American elections and politics that began while studying political science at BYU and Ohio State University. He cemented his career aspirations as an undergraduate when he connected with Richard B. Wirthlin (’64) of the Wirthlin Group (later Wirthlin Worldwide) to work on Reagan’s presidential campaign. One of his first projects was in the steel industry where Allsop worked to change its image from old, dirty, and stodgy to high tech, clean, and vital. For his efforts, he received the David Ogilvy Award in 2000. Among his other clients were Marriott, Boeing, and General Motors. Allsop also worked on California’s Proposition 22 campaign in 2000, which modified California law to define marriage as between a man and a woman. In 1996 Allsop; his wife, Charmaine; and their four daughters moved to Alpine, Utah, where Allsop planned to finish his career with Wirthlin Worldwide in Utah. Instead, four years later Richard Wirthlin asked him to move to Washington, D.C., and become chairman and CEO of Wirthlin Worldwide. When Harris Interactive purchased the company in 2004, Allsop stayed on for four years as president of Harris Interactive Solutions Groups. In the summer of 2008, Allsop started and became the president of Heart and Mind Strategies, a market-research firm, near his home in Fairfax, Va. He emphasizes that such a spirit needs to be cultivated in the communities where people live—not just in their cities, but in their professional, global, and social communities as well.